Over the weekend, shortly before Into the Storm director Steven Quale hit the WonderCon stage to talk about his movie, I landed a few minutes with him backstage on the red carpet. He talked about how the film mixes big visual effects with a grounded human element, how real-life tornadic events influenced what they decided to portray, if the science in the movie is real, how they never considered making it in 3D, how the film was shot, upcoming projects, and more. 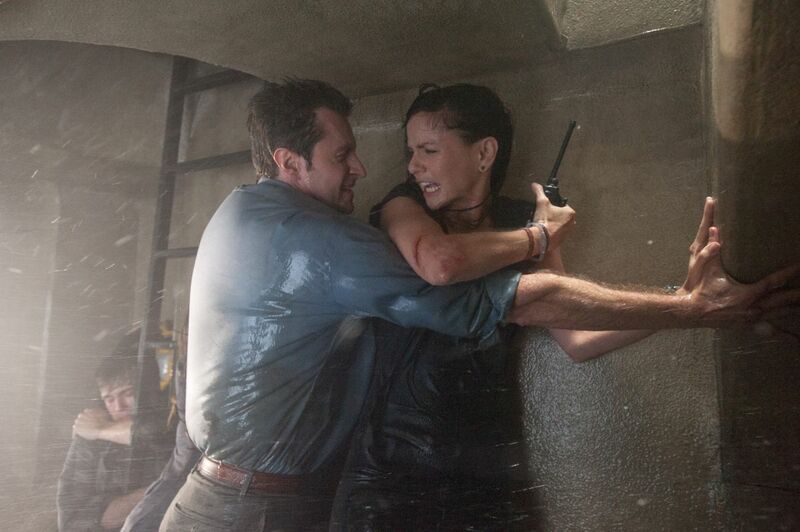 Hit the jump to watch and click here to read our recap of the Into the Storm WonderCon panel. The film stars Richard Armitage, Sarah Wayne Callies, Max Deacon, Matt Walsh, Alycia Debnam-Carey, Arlen Escarpeta, Nathan Kress, Jeremy Sumpter, Kyle Davis, Jon Reep, and Scott Lawrence. For more on Into the Storm, here’s our video interview with Richard Armitage and Max Deacon and the first trailer. Into the Storm opens August 8th. :10 – Talks about how the film mixes big visual effects with a grounded human element. :50 – How accurate is the science in the movie? Discusses how real-life tornadic events influenced what they decided to portray. 2:11 – How long was his first cut? Says the finished film is 91 minutes. 2:40 – Calls the movie first-person narrative instead of found footage. Says the difference is professional camerawork (ie. news reporters) over amateur shaky-cam. 3:30 – Says they never considered making it in 3D.